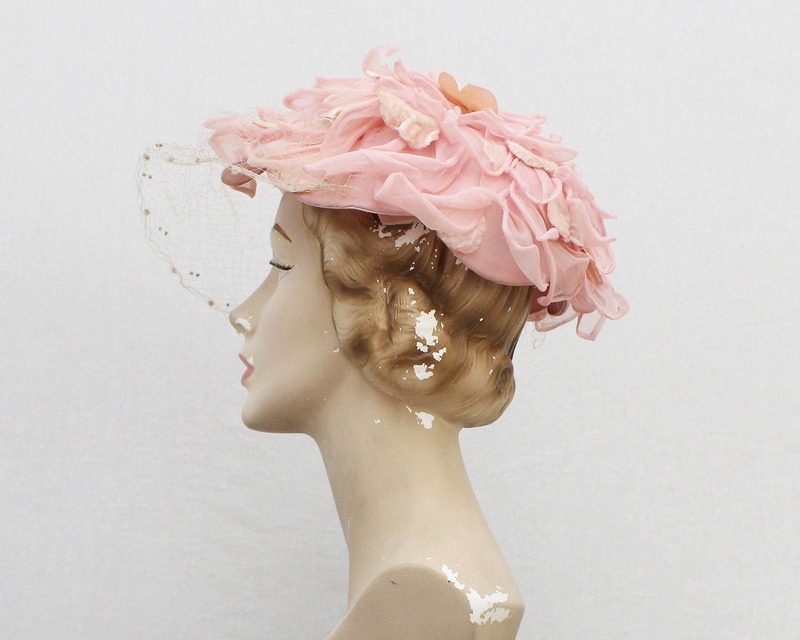 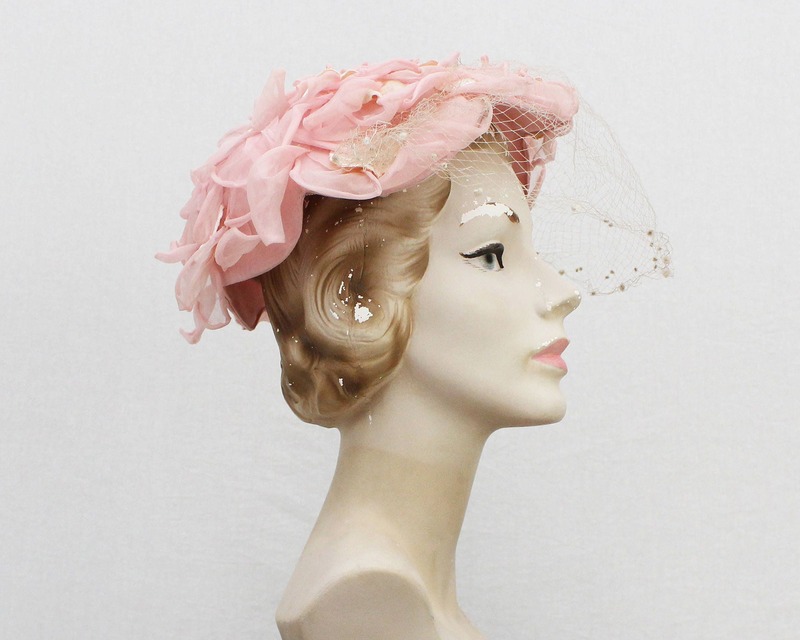 A lovely, feminine floral hat in soft pink. 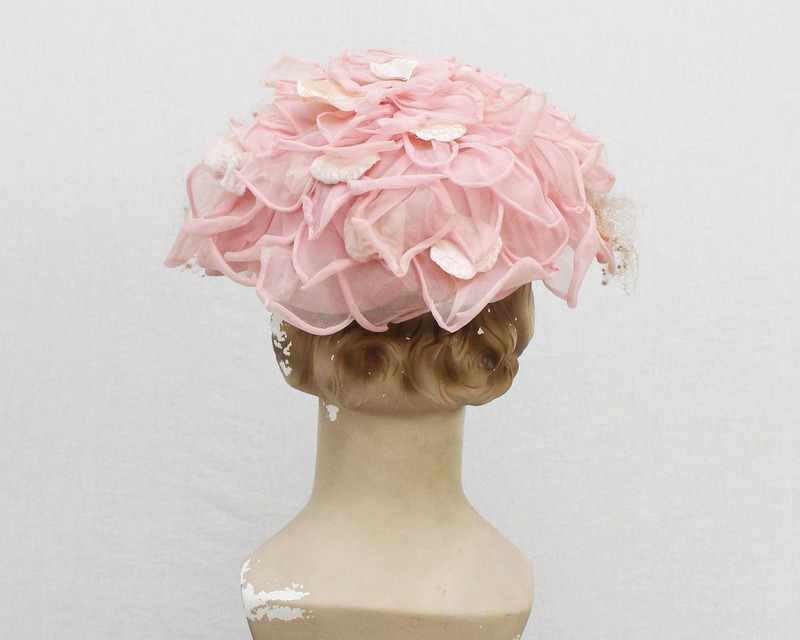 Pink petals absolutely cover this hat which has a scalloped brim that sits atop a crown on the head. 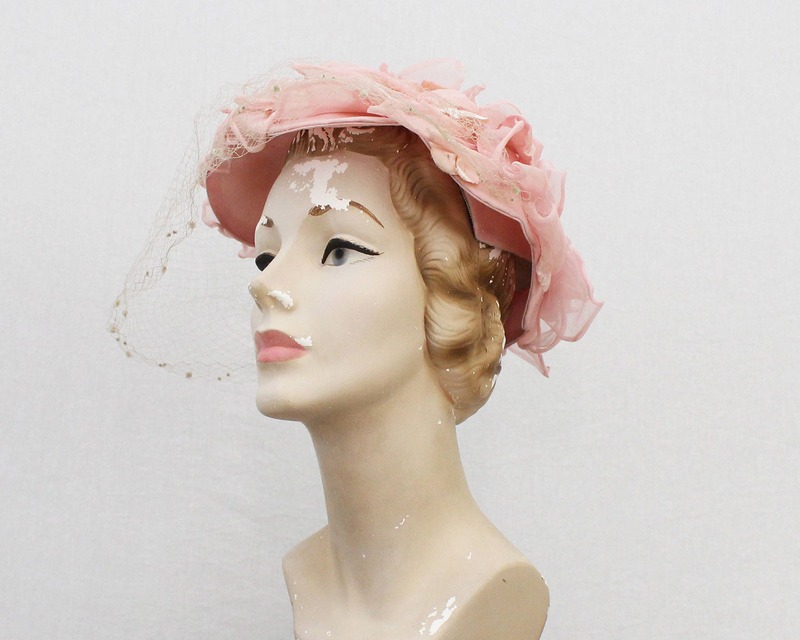 The netting is damaged quite significantly, but would be easily removed or replaced. 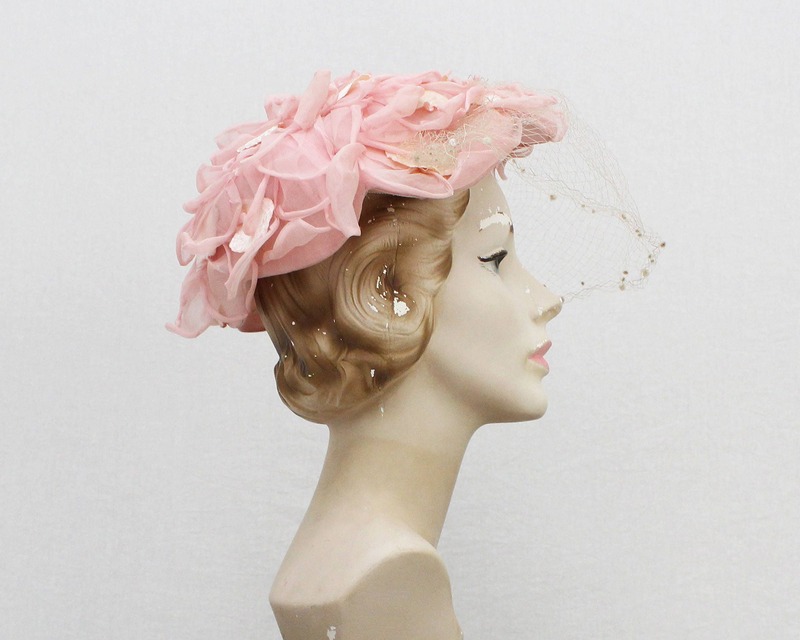 Otherwise the hat is in very good condition with no other significant flaws.